In the small garden outside the Happy Learning Assessment and Training Centre, a five-year-old child was playing with a bag of toys. He was by himself, with no accompanying adult in sight. Staff members at the centre recognised him as one of the children under the centre’s care, one who showed symptoms of autism and attention deficit hyperactivity disorder (ADHD). They called his parents, and found out about the problems the family was facing. 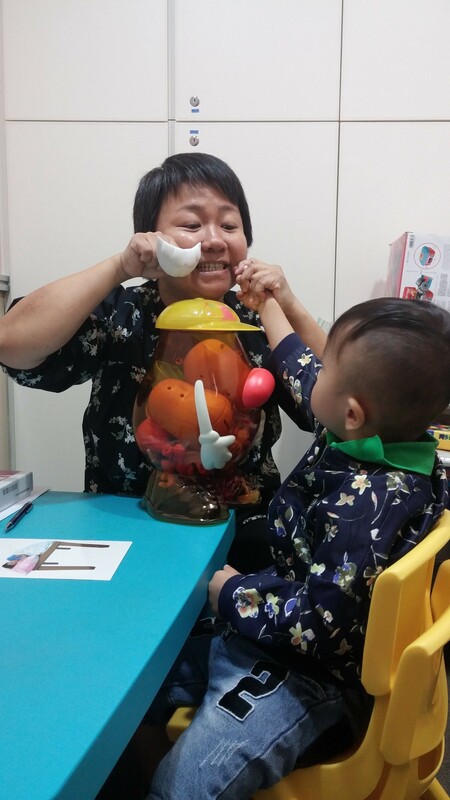 The Kwun Tong Methodist Social Service’s Happy Learning Assessment and Training Centre is a one-stop centre that serves children with special educational needs, and their parents. It opened in October 2011. This was Winnie Chan’s observation when she was asked about the difficulties of providing training for young children. The story of the five-year-old boy at the playground left an especially deep impression on her. The boy’s mother left the family when he was still very young. His father met someone new, then went to live with the new girlfriend on the mainland. The job of caring for the boy fell on his grandmother. Handling a boy with symptoms of autism and ADHD was difficult for an old woman with failing vision. “Our colleagues who handle training for such children need to take a rest after two sessions. What more a grandmother of over 70 years old? It’s dangerous in fact,” Winnie Chan said. She said parental involvement holds the key to the children’s development. Parents must build a healthy self-image for themselves, and take on the job of caring for the child with a positive mind-set. In reality, many parents of children with special needs also suffer from emotional problems themselves. This is true especially of mothers who must watch the child 24 hours a day. Some even display signs of depression. In such cases, the centre will refer the parent to a psychologist. “Quite simply, when the mother is well, the child will do well too,” Winnie Chan said. This is why, aside from providing assessment and training for the children, a big part of the centre’s work involves paying attention to the needs of the parents. This is done in three ways: conducting home-based training for them, providing emotional support, and offering counselling when needed. “Every case is unique to us, and the social worker plays a critical role. He or she is the first point of contact for parents who want to get in touch with the centre. The social worker is also the person parents will call when they feel troubled,” Winnie Chan said. 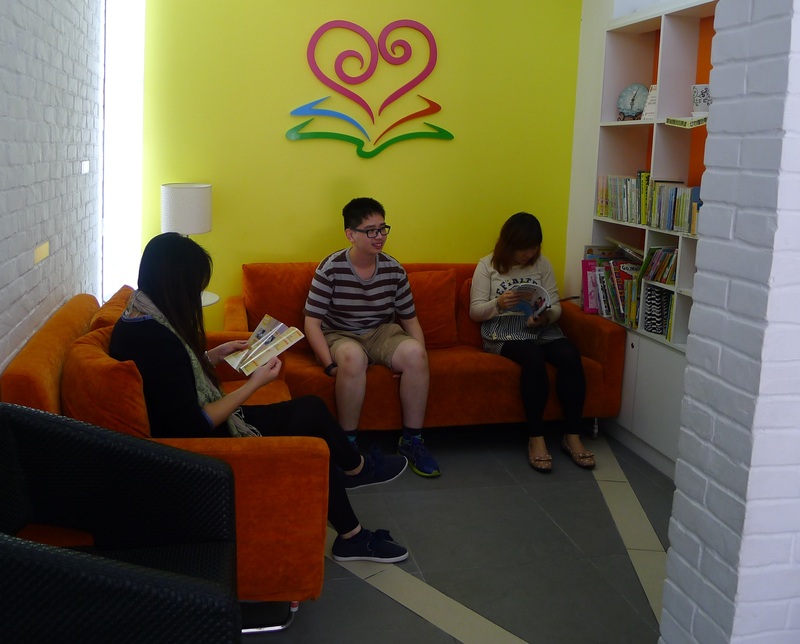 The Happy Learning centre charges a fee for its training for young children, and hopes to be self-sufficient in future. For now, funds from Fu Tak Iam Foundation ensure that those who can’t afford to pay the full fee can still benefit from the service: fees are subsidised or even waived for families who earn 75 per cent or less of the median household income. It has been three years since the programme was first rolled out. The plan was to serve 100 children a year; as it turned out, more than 130 cases were accepted in just the first three months. Between 2011 and 2015, the centre provided assessment for 680 children and teenagers, as well as training for 966 children between the ages of two and 12. The training comes in different forms. This includes clinical psychologists offering support to the family and helping children learn to recognise and manage their emotion; music therapists helping children to change their negative emotions and improve their ability to express themselves using their bodies; play therapists reaching out to the children through play and helping them improve their cognition, emotional management and sociability; speech therapists analysing the obstacles to a child’s language development and providing useful exercises to overcome those obstacles. Others who provide support include physiotherapists, occupational therapists, social workers, inclusive education teachers, and writing and reading therapists. For these children, early childhood education is only the first challenge they face. Other more difficult challenges lie ahead. In 2015, the Happy Learning Assessment and Training Centre expanded its services to provide help targeted at a problem many young people with learning difficulties face: getting a job. “Many children with special educational needs who study in mainstream schools drop out in the third or fourth year of secondary school, because they simply cannot follow the Diploma of Secondary Education (DSE) curriculum. Parents also don’t expect their children to do well in DSE exams, so those on low incomes would rather not have to pay to register them for the exam,” Winnie Chan said. If all goes well, they would be placed in a real work environment, such as at a hotel, café, office, a hair salon or a beauty salon. The job placement programme has had its problems. “We once arranged for a student who liked to cook to work at a hotel restaurant. His mental faculties were almost no different from the average young person’s. He was a good boy, usually good at following orders. But, one day, some family-related problem made him so emotional that he ended up crying and wielding a knife at work, while saying he wanted to quit. Our colleague immediately went to the hotel to sort things out,” Winnie Chan said. This incident illustrates the challenges that autistic youth face on a job. “Their understanding of things around them are usually very simple and straightforward, so they find the more complex interpersonal relationships at the workplace difficult to understand. If a person calls you a headache while smiling, is that person angry with you or not? They can’t read accurately their boss’s expressions, and cannot understand how to mix with their colleagues, so they are often ostracised.” The job counsellor helps them to learn the intricacies of human relationships through role play. Hong Kong needs to offer its young people with special needs a path towards a job and integration with society. But few social services provide such help. Winnie Chan hopes the government can see and address this gap in our welfare services. “This is a bigger need, and a bigger challenge, than early childhood services,” she said. “These young people have been rejected so many times at job interviews that some of them have lost hope. We feel the same sometimes. They have been through all kinds of training, but if our society will not accept someone who’s just a little bit slower, what kind of future will they have?